Local and state lawmakers from Montgomery County are proposing legislation which would significantly lower speed limits on a huge number of roads, including lowering the limits on some roads to 15mph and lowering the "default" speed limit where no speed is posted to 20mph. State Delegates David Moon(D, Takoma Park) and Korman(D, Burtonsville), in partnership with Montgomery County Council Member Hans Reimer, have introduced three bills to lower speed limits. One proposed a bill would allow Montgomery County to lower the default speed limit to 20mph. Under the bill, Montgomery County would be exempted from any requirement to conduct a traffic study to justify lowering the speed limit to 20mph. Police would therefore have probable cause to stop any motorist traveling over 20mph, and the 20mph zones would also presumably be subject to enforcement by speed cameras, without any traffic engineering study being done to affirm that the speed limit.This state legislation is being presented as a county bill, meaning that motorists from other parts of the state visiting Montgomery County would be subject to the very different "default" speed limits than in their home counties. Another bill would allow lowering any speed limit in an "Urban District" of Montgomery County to 15mph, turning anyone driving a mere 20mph on these roads into a "speeder". Currently "Urban Districts" may have speed limits of 25mph. Another bill would allow speed limits to be lowered to 15mph if there is a school anywhere within 1-2 miles. The definition of a "School Zone" according to state law and standard traffic engineering practices in Maryland can only apply to roads within 1/2 mile of a school, meaning the new zones are up to 16 times the size of current school zones and could potentially encompass almost the entire county. 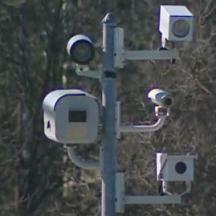 Unlike most of the rest of the state, Montgomery County uses speed cameras outside school zones, so if the act were used to lower speed limits to 20mph cameras could be used to enforce the newly lowered limit even though they were not in school zones... potentially increasing county speed camera revenues significantly. The legislation would also give police probable cause to stop motorists on these roads merely for driving faster than fifteen mile per hour on a road previously designated as 25mph. Delegate Moon says that lowering speed limits to 15-20mph is aimed at "correcting" speed limits in urbanized parts of the county. Hearings are scheduled on the bills on December 5 and 7. Contact information for Montgomery County delegates can be found here.